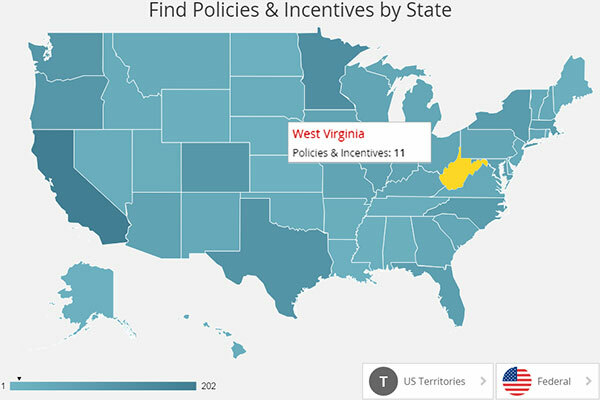 The Database of State Incentives for Renewables and Efficiency® (DSIRE®) provides information on incentives and policies for renewables and energy efficiency in the U.S. This joint project by the Department of Energy and North Carolina State University just released an API to query DSIRE®’s database. Developers can view the sample output by visiting the database query page. They can query by state or ZIP code to receive a listing of programs. After they select a program, the next page lists contact information, a summary of the incentive program, and the eligible energy technologies (see this example). The API returns the same information—for all the programs—in XML, JSON, and CSV formats. Developers should be prepared to receive a large data file, as the API does not allow querying the DSIRE® database using the XML or JSON formats. The DSIRE® database can be queried using SPARQL. SPARQL (SPARQL Protocol and RDF Query Language) is a language that can query online databases that either offer “key-value” data or relational database tables. To use SPARQL, a query is entered into the SPARQL endpoint. The data is returned in an XML type format—Resource Description Framework (RDF)—which can then be used in an app.